Grocery stores sell food to make money. That means when you buy fresh vegetables, fruit, and herbs they are displayed and sold in a way that takes the least amount of room to move product. Basically what's best for your herbs and veggies isn't always the way that the grocery store sells them. The best examples are parsley and cilantro. Most stores pile them into a bin and spray them with water multiple times a day. No!!! Then most shoppers go to the store, bag the herbs, and throw them into the crisper drawer. Five days later the herbs have turned black and mushy and need to be thrown out. No one wants to waste money throwing out fresh ingredients. 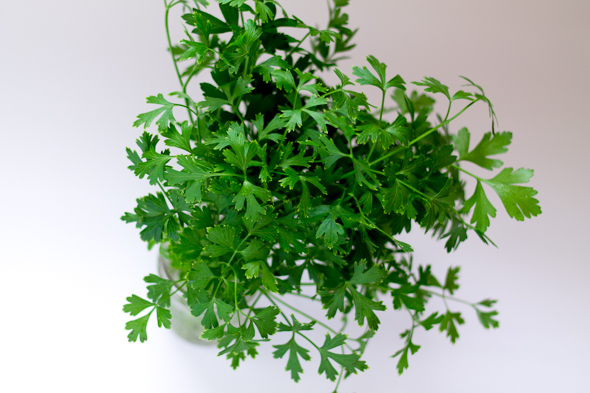 The answer is to store your parsley and cilantro correctly once they come home from the grocery store or are picked from your garden. Storing them correctly is actually very easy and they can last up to two weeks, giving you a lot longer to make that fabulous recipe that you bought them for in the first place. 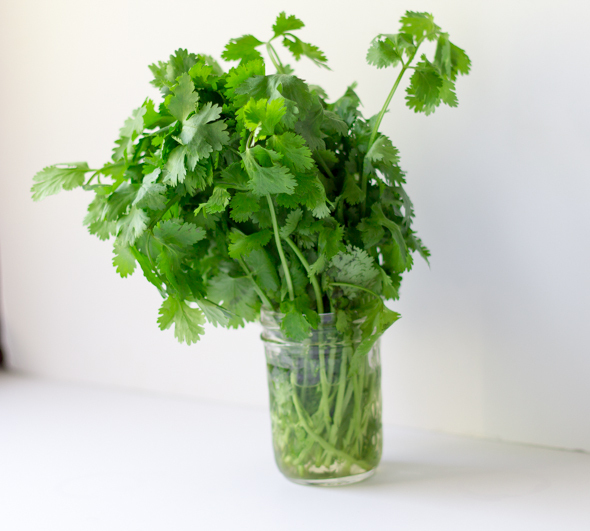 The following is the method I use to store parsley and cilantro in the fridge and it works great! 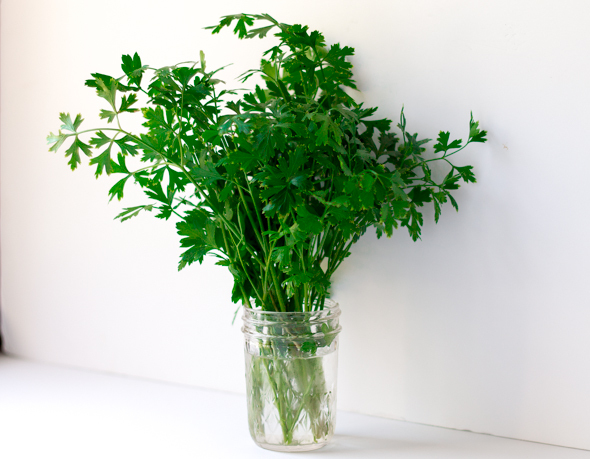 If you buy your parsley and cilantro from the grocery store the first thing you want to do is take them out of the bag, remove the wire (or other binding), wash them, and then cut off about 1/2 inch of the bottom stems. Cover the herbs with a large Ziploc bag, the end of the bag with the zipper should be at the end of the cup. Use a large bag so the herbs have room to breath. Zip the bottom of the bag closed around the cup. This is important, it keeps the air out of the bag making the herbs last longer in the fridge. Place the herbs in the fridge for 1-2 weeks (parsley can actually last longer sometimes 3-4 weeks, especially if it's fresh cut from your garden). If you are using garden herbs follow the same steps, just skip the steps regarding taking off the bag and wire. That's it, very easy and will make your fresh herbs last significantly longer. This method also works for fresh dill.